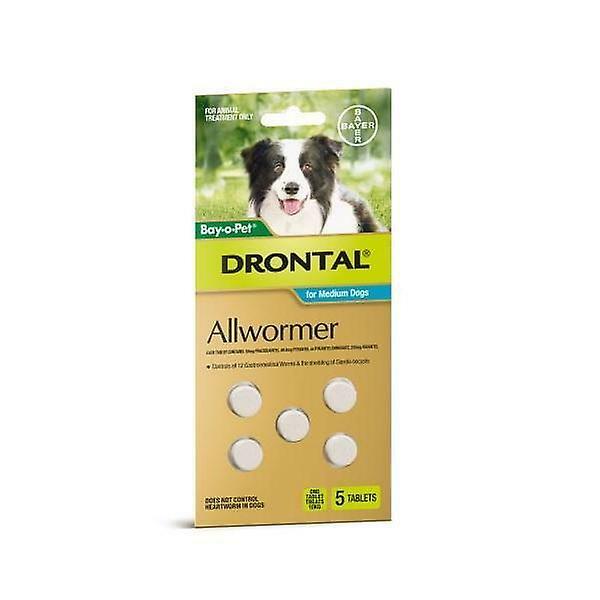 Drontal Allwormer tablets for dogs. Dose is 1 tablet per 10kg bodyweight. This pack contains 5 tablets. This is an Australian registered product, labelled in kilograms and with Australian labelling information.Drontal® is a registered trademark of Bayer A.G. Leverkusen, Germany.